Proven strategies and techniques for improving your ROI in both acquisition and cultivation fundraising. Providing proven insights to increase fundraising results from our years of experience assisting organizations around the country and the world. 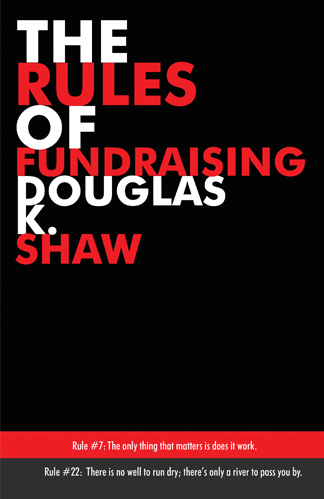 The Rules of Fundraising is an authoritative guide for nonprofits. Written by Douglas K. Shaw, Founder/Chairman of the Board and CEO of Douglas Shaw & Associates, this book provides insights from years of assisting organizations around the country. 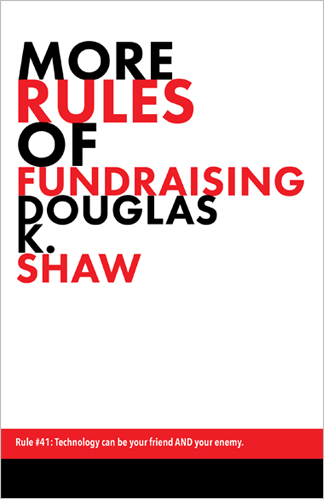 More Rules of Fundraising is an authoritative guide for nonprofits. Written by Douglas K. Shaw, Founder/Chairman of the Board and CEO of Douglas Shaw & Associates, this book provides insights from years of assisting organizations around the country.